There’s all this data out there hiding in tables, binary files, behind obscure but wide open doors. Like the Tokyo pollutant measurements. But there was no way to visualize it. Thankfully, he found a way. 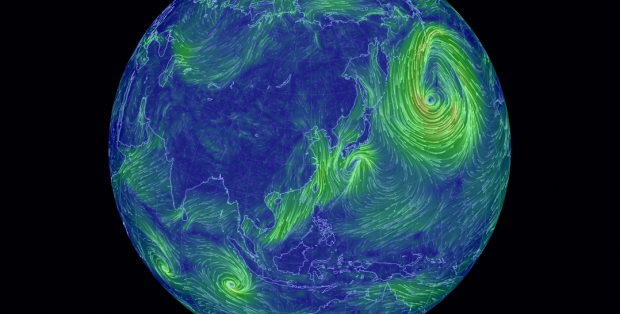 His interactive world lets explore different areas, zooming in for a closer view if you need, to see how wind behaves all around the globe. If you’d like to explore his code, it’s all openly available over on Github. You can throw some support behind it by liking the project’s Facebook page. 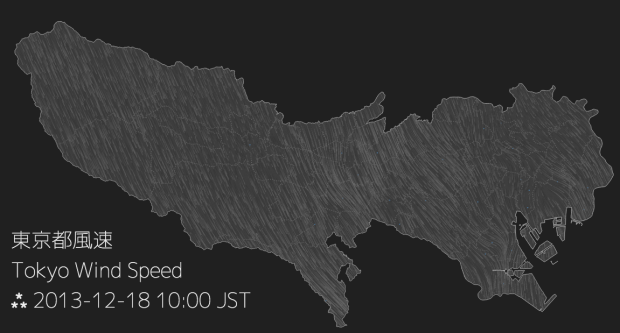 I’m not familiar of many people working with D3 here in Japan, but for anyone who wants to learn more, there is a Japanese intro over on Mike Bostock’s Github page (he developed the project), and there are also some useful tutorials over on dotinstall.com if you’d like to dive deeper.